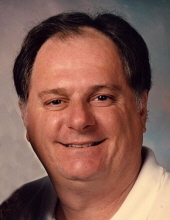 Lynn Edward Beane, age 73, of Eaton, OH passed away Saturday, March 23, 2019 at Reid Hospital in Richmond, IN. He was born May 25, 1945 in Richmond to the late Harold Edward and Nola Mae Beane. Lynn was an avid bowler and train collector; was a member of the Eagles Lodge in Eaton; and retired from the Ohio Department of Transportation in 1993. He is survived by his wife of 52 years, Lu Jean Beane of Eaton; sons Lynn E. Beane, II of Eaton and Ron Judd of West Milton; 3 grandchildren and 5 great grandchildren; sister Linda Waymire of Eaton; niece Angie Waymire of Eaton; and nephew Randy Waymire of South Carolina. Funeral service will be held at 11:00 am on Wednesday, March 27, 2019 at the Girton Schmidt & Boucher Gard Funeral Home, 226 West Main Street, Eaton, OH with his special friend Tom Ditmer officiating. Burial will be at Mound Hill Cemetery in Eaton. Visitation will be held on Tuesday, March 26, 2019 from 5:00 to 8:00 pm at the funeral home. Memorial contributions may be sent to The Leukemia & Lymphoma Society Donor Services, PO Box 98018, Washington DC 20090-8018. Online condolences and other remembrances may be sent to the family by visiting www.gsbfuneralhome.com. To send flowers or a remembrance gift to the family of Lynn Edward Beane, please visit our Tribute Store. "Email Address" would like to share the life celebration of Lynn Edward Beane. Click on the "link" to go to share a favorite memory or leave a condolence message for the family.